January, 2019 — E4TheFuture’s Pat Stanton spoke with WGGT-LP 92.9 FM, Germantown Community Radio, in a show originally broadcast on January 18th and now available as a podcast. The show, Planet Philadelphia, also features Walter Yakabosky, Director of Training at Philly’s Energy Coordinating Agency (ECA) and Ashley Bowman, Jobs Development Coordinator at ECA. “Energy efficiency workers are your neighbors,” Pat emphasized during the program. “There’s a double benefit,” she explained, when people in small communities improve the performance of their home, they have more money to spend in the community. Walter Yakabosky provided background about ECA’s work and array of programs including training and expected wage levels. His description of energy assessments surprised the show host by noting that the least effective and most expensive form of energy-saving installations are windows and doors. (The most effective, he noted, are insulation and air sealing.) Ashley Bowman gave details about current job openings and valuable partner connections, pointing to opportunities in HVAC and other specialties. 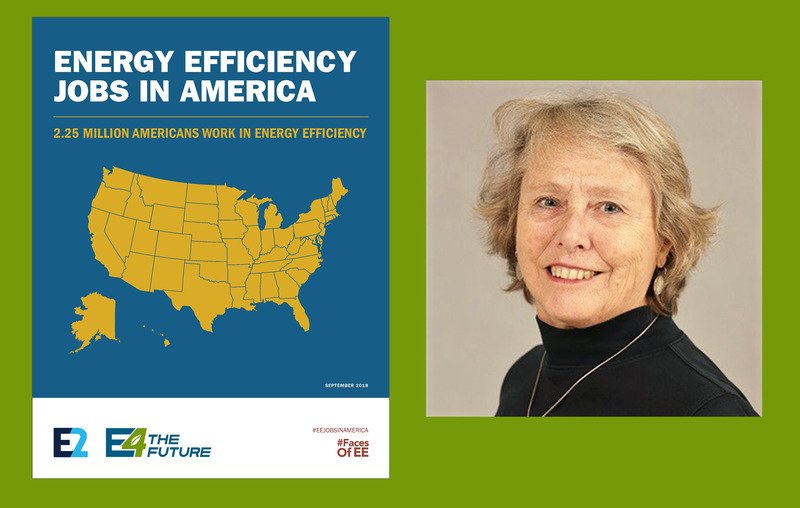 Download the summary of Energy Efficiency Jobs in America (2018) or the complete report.